Salis was born and lives in the Camp where we meet her at the age of fourteen, at the time of her escape. They named her Salisedine, Salis for short. From now on Salis’ adventure is one to be discovered. As also is our new adventure, with Daniela Morelli (author and screenwriter), Paolo d’Altan (illustrator), Laura Rota (digital layout and animation), Vincenzo Ambriola (software development and project management). 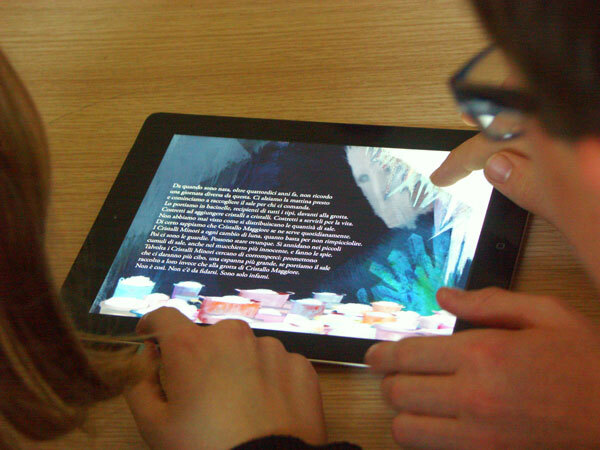 Four people and a new scenario: an ebook? an app? 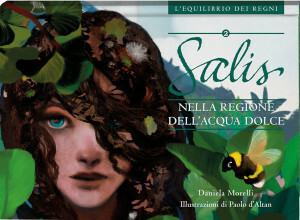 Salis is an episodic novel, illustrated and animated, which leads us into a world where the Mutation has already started. Our protagonist, with her courage and tenacity, has the tremendous job of restoring a natural balance to this. This project, produced by Studio Rebelot, relies on Daniela’s narrative and editorial experience, the versatility and visual impact of Paolo’s illustrations, Laura’s curiosity and her experience in graphics, and on the expertise of Vincenzo, a university professor. A giant leap for a small team: to jump across the borders and the limitations of printed paper. 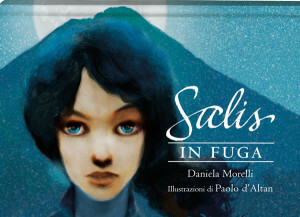 The first episode, Salis Escapes, will be available in May 2014, at the App Store in Italian and English. Later we will publish the translations in Spanish and Chinese. The other episodes will be available over the following months.